I'll have to wait to add more pics I guess. sharp looking greenhouse. Bet it’s beautiful full. Nectarine or peach tree next to it? This is a cross of Agent Orange with something called XJ x Penny Wise. And yes, that is at ceiling height. Really great tangy orange and cinnamon flavors. Thought I was going to be discreet with a green house. Not! I have some other fruit trees. I am a newbie and have reached my "reply limit" ??? This upcoming summer will be its first full run. I got started very late with seeds in the soil on July 1 last summer and still managed a pound. 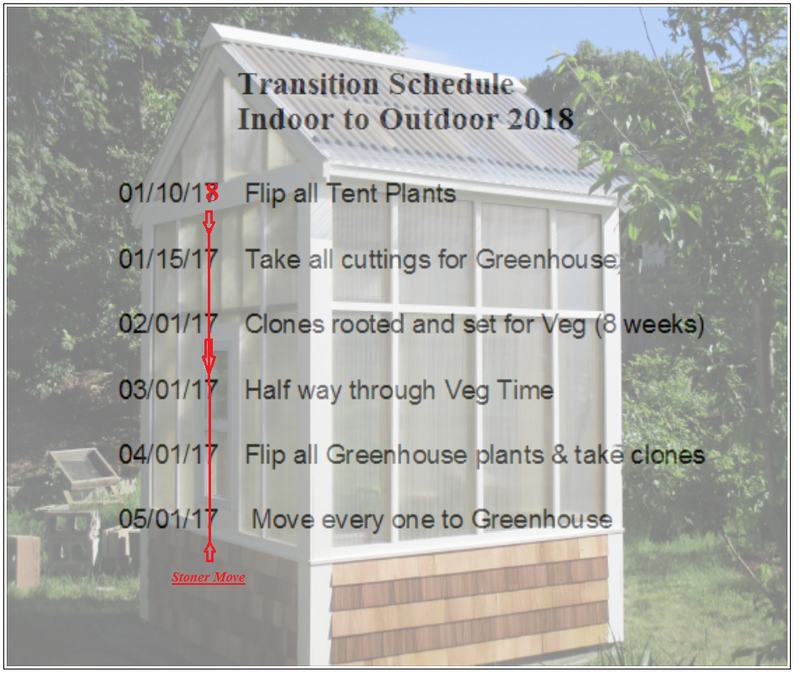 This spring, @Muleskinner has suggested I try and finish a 12 hr cycle in the greenhouse in huge containers early spring, and then go for the big summer run. I'm game. Love to hear from others with green houses. They have their own foibles. Definitely need de-humidification on cooler nights. Bud rot was an issue last summer until I got one up and running. Was looking for this earlier. End of the season..
Unit has Power & a sink! Screen door and windows, floor and gable vents too. Never enough. May add two more windows on front! In-Line fan empties the room in 6 minutes. Nice. What's the dimensions of that? A very beautiful greenhouse with a beautiful girl in it. Can't wait until I have the space for something like that. Very nice @99PerCent what have you got for ventilation? I've grown in hoop houses covered with plastic and the heat and humidity was incredible. I ended up leaving the ends open with a couple small box fans hanging from the center pole. Then I noticed your edit. There's nothing wrong with my eyes...I'm a bear not a bat. All done outside for this year. Clean it up and wait for spring. Well, that above schedule is a total mess. It isn't New Years and I have already flipped the tent plants. I'll reset this when I am close enough to have a clue. Meanwhile, back at the greenhouse..21F outside when I took these. That just looks painful to this wussy here! It gets tiring fast for me. Muleskinner can't get enough! They say it is good for the land. I'll go with that. 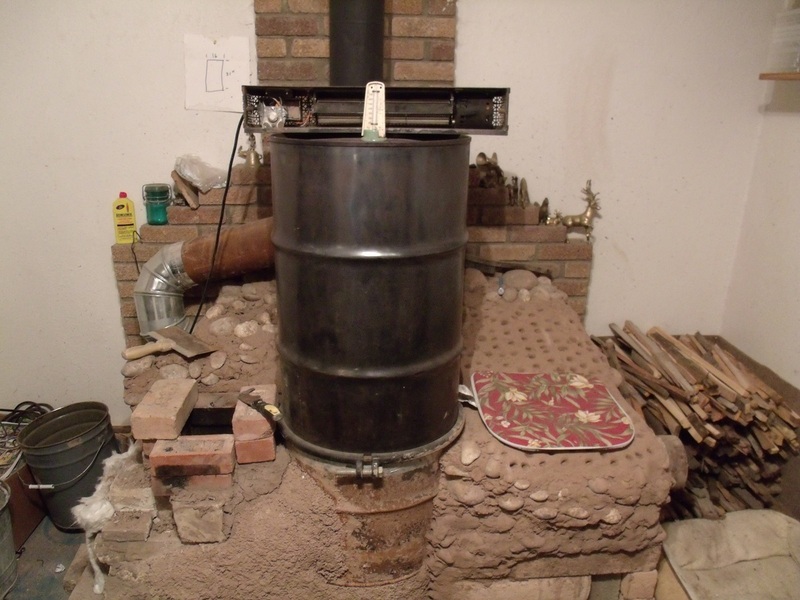 Have you ever thought about a small propane/ N Gas powered radiant floor heater? Then you could grow leafy greens thoughout the winter. 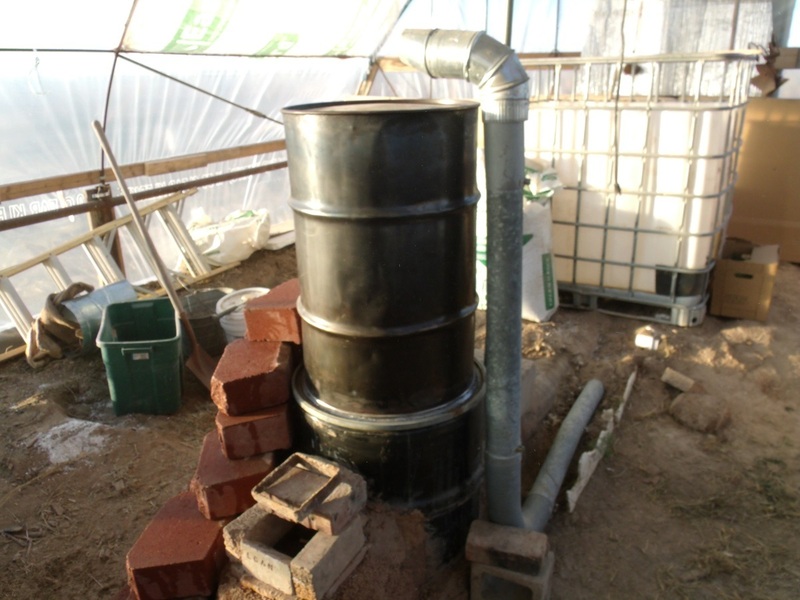 I have a rocket mass heater in mine to keep the aquaponic tank from freezing. Haven't needed to fire it up in two years due to it being so warm down here. Aw, your teasing me. Send pics pleeeease! Course, this is with the sun on it. At night, every bit as cold as out side. First pic is what runs under the tanks. This is what is heated up and holds the heat and slowly radiates it to the tanks. 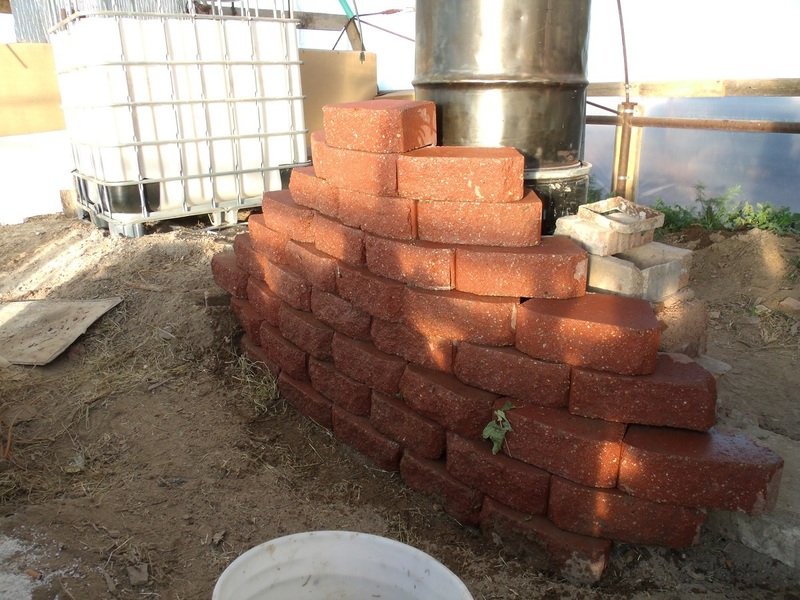 Blocks for added heat storage. 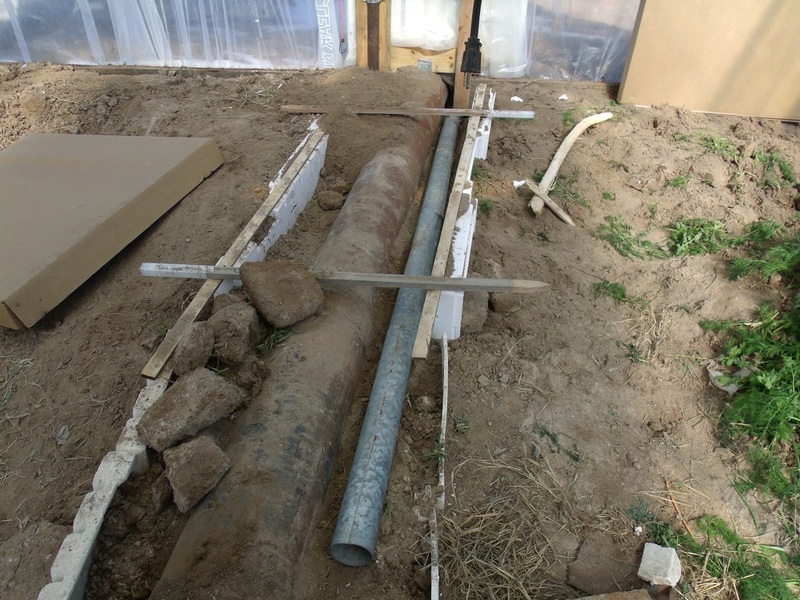 These picture are from it was first built. I would need a miniature version. I was going to flip some plants in my tent 1 month before it is safe to put them in the GH and finish them there. My transition schedule is a little messed up right now, so, I'll have to put some more time in on that. I have one of those DeLongi electric jobs. By then, its just keeping the room up at night when the dehumidifier isn't running. 4' is as small as you can go in a RMH. You got me there. Course, we hear that all the time, right, hahahaha. It would have to live in another shed. I think the winter has this unit beat. Some day, I will have an ultimate greenhouse, and an Overgrow invite party!